I figured this might be the best time to tell you that Cult Beauty are having a pretty awesome discount weekend.. This is literally one of my favourite stores, as the products they sell are cult and cult only. They stock the brands that often you cant get your hands on but you’re desperate to try out. 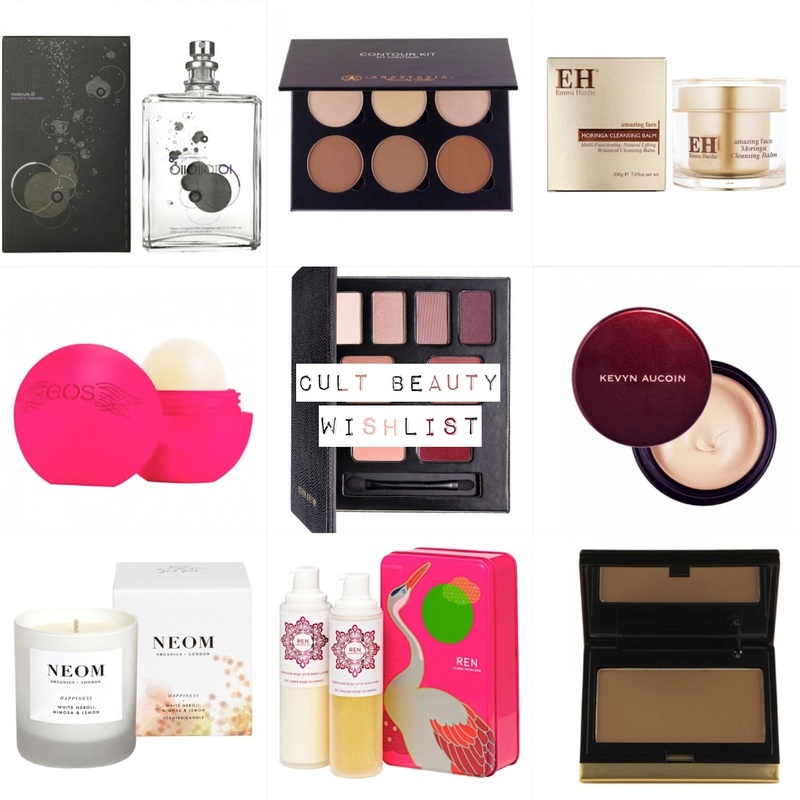 Anastasia Beverley Hills, Jouer, Escentric Molecules, Caudalie, Embryolisse, Elemis, Elizabeth Arden, Kevyn Aucoin, Living Proof, Neom, REN, Sunday Riley, Xen Tan and Emma Hardie can all be found in this goldmine of beauty treats, and those are just the brands that I personally love. This weekend they’re doing some pretty massive discounts though from 15-25%, so I wanted to share them so you could get Christmas Shopping!! Go along to Cult Beauty, fill your bag with goodies and use the following codes in the ‘Use promotional code’ box. You’re very welcome my lovelies! Oh and dont forget that Harvey Nichols have 25% off fashion and accessories with Smashing25 !